The Alachua County Library District is hosting an event on Saturday that shines the spotlight on a dozen area writers who have been published. Hugh E. Suggs has performed many duties in his life to put food on the table for his family of six. He’s worked construction, laid down carpet, managed restaurants, sold cars, taught grade school and done landscaping work, among other things. But not anymore. Now, Suggs is a writer. Earlier this summer, the Gainesville resident self-published “Stepping on Cracks,” a creepy novel about a serial killer lurking around the University of Florida. Suggs is preparing to release two more books in the coming year — one containing poetry and the other a series of short stories based on his life. “Writing is what I love to do,” Suggs said the other day from his home in the Duckpond neighborhood of downtown Gainesville. On Saturday, Hughes will be one of 12 writers featured during the Local Author Showcase at the downtown Headquarters Library, 401 E. University Ave. 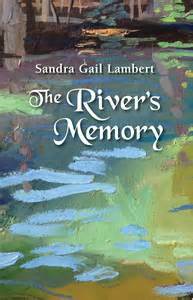 The others are Stephen Smitherman, Theodore Josiha Haig, Sandra Gail Lambert, Caroline Anaya, Nancy Rankie Shelton, Stephanie Smith, Terri Depue, Sandra “Lee” Phillips, Glenn Vellekamp, Richard Gartree and Melinda Grimmage. There will be two sessions in Meeting Room A, an early one from 10 a.m.-12:30 p.m. and an afternoon session from 2-4:30 p.m. Each session will feature six writers, who will be discussing, signing and selling their books. 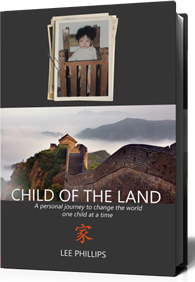 “Child of the Land, ” a touching memoir about adoption by Lee Phillips. “This is going to be a really fun program with the opportunity to meet really interesting people and to learn more about their process and their struggles and what is awesome — and gut-wrenchingly awful — about the writing life,” said Lisa Finch, the librarian organizing the first-year event. 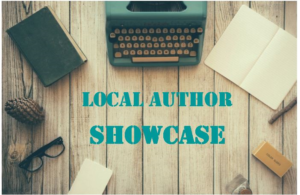 According to Finch, the Local Author Showcase is designed to let people know about the writing talent in Gainesville and to help local authors get the word out about their books. Suggs wrote most of “Stepping on Cracks” many years ago but, like many writers, let the story collect dust without getting it published. Then fate intervened and turned the most horrific event imaginable into something inspirational. On Oct. 26, 2011, while operating a leaf blower in front of a fast-food restaurant along U.S. 90 in Lake City, Suggs’ life took a sudden and dramatic turn. Suggs remembered getting pinned between the cab and the trailer and being dragged. Hank Rossell, Lake City Fire Battalion Chief, was on the scene within minutes attending to Suggs and his traumatic injuries. Somehow, Suggs was still conscious but losing large amounts of blood. Suggs was airlifted to Shands Hospital in Gainesville. During the helicopter flight, he had an out-of-body experience. A voice told him that it wasn’t his time to die. Suggs got the message. Doctors couldn’t save his legs, but they saved his life. He underwent more than 20 surgeries in the months and years that followed. Rehabilitation was ongoing. The depth of my writing wouldn’t be the same had it not been for the accident. The accident, as bad as it was, helped Suggs put his life in perspective. It also helped him focus. Suggs admitted that “Stepping on Cracks,” written before the accident, is not necessarily that book but that the novel has given him the confidence to forge ahead. His second book, with the working titles “The Inheritance” or “In the Wink of an Eye,” begins with Suggs in despair on that sidewalk in Lake City five years ago. Each chapter in the “creative nonfiction” book is a vignette from his life, about colorful relatives and other stories of a sharecropper’s son and growing up poor in North Central Florida. Meanwhile, Suggs is also finishing work on “Back on this Side: Another Chance at Enlightenment,” a collection of grief poetry and other inspirational writing. 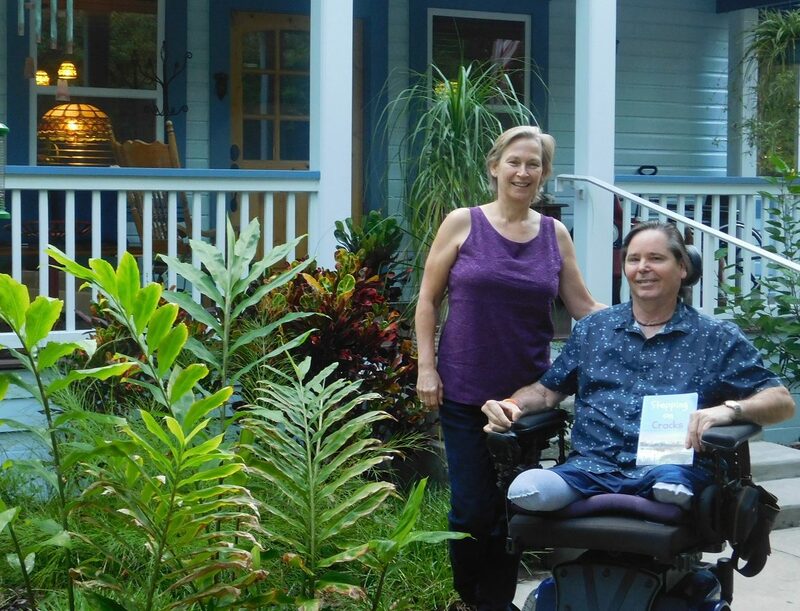 Suggs said that his involvement with the Writers Alliance of Gainesville (WAG) and the Gainesville Poets & Writers have helped him develop as a writer. Both groups foster the written word by providing critique sessions. According to Finch, Gainesville is a hotbed for authors. The Alachua County Library District is planning a similar annual event for local authors of children’s books. Anyone with a published book interested in participating is asked to contact Laurie May in Youth Services at Library Headquarters. 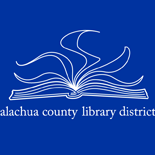 For further info on all library activities, visit the Alachua County Library District website. I was there the day Mr. Suggs’ accident happened. I followed his son (Devin) from Lake City to the hospital and knew that Eddie had too much to live for with his beautiful family! I’m so proud of all you accomplished but never doubted that you would bounce back from that terrible accident. God is good and always right! I met you and your wife at the Gainesville Fine Arts Association’s Artist Studio Tour in July. While admiring her pieces (especially the ones that appear to be wooden! 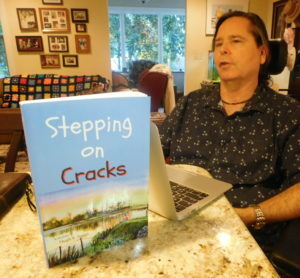 ), I learned about your book, “Stepping on Cracks.” Feeling that it should rightfully have a place in our library system, I have finally been successful in having it placed on the Florida authors’ shelf at the Sumter County Library system’s Belvedere library in The Villages.